Home / Blog - Business / Fire the CIO! It has been a while since Nicholas G. Carr wrote IT doesn’t matter. Nearly 12 years have passed and it remains a common understanding among business functions that IT really doesn’t matter. In his article, Nicholas points out that sources of competitive advantage are only available through a small window of opportunity. On the one hand, computing power and information are ubiquitous in nature. On the other hand, technology upgrades are fast paced, scalable and soon become available at affordable prices. So as IT capabilities reach everyone, they no longer provide advantage to any of the players in the competitive arena. Furthermore, as some evolutionary theorists say, organisms must continuously evolve to remain stationary to their competitors. So do business organizations. Doing nothing is doomed to failure. This paradox is known as the Red Queen Effect, for major glory of Lewis Carroll and his book Through the Looking-Glass and What Alice Found There. As species within an ecosystem evolve to capture an ecological niche, others coevolve to benefit from remaining spaces. Subtle competitive changes can reshape the whole ecosystem. So this competitive pressure impels all players in the game to keep evolving or risk worsening their position. Eventually, there is a need to continuously upgrade your organization’s IT capabilities and being among the first to adopt is advantageous. Nicholas tells us that IT is a commodity. That it can be consumed as an utility. That it is widely available. And no longer is a source of competitive advantage. Why not fire the CIO? Do you really need to have an executive to report on monthly consumption of a resource? You do not have one to manage the electricity, do you?. As we have seen, your organization will have to deal with continuous change just to keep up with competitors. Rather than managing commoditized assets, CIOs now focus on managing the inbound innovation stream needed to ensure survivavility of their organization. But if you want to be on top of the food chain, innovation should not be a stream that pours uncontrolled in your organization. It should be a managed process focused on the early identification of technology advances and their exploration with the aim of providing business value and gaining competitive advantage. This is, jumping through the tiny windows of opportunity. So the new source of competitive advantage is not IT by itself, but the organizational capability of assessing and insourcing new technologies in fast and managed way. We like to call this process Innovation Management. Don’t fire the CIO. The role of the CIO may have just changed. Of course the CIOs will still need to manage commoditized IT assets. But the CIO should drive business innovation, not just IT innovation. In fact, Innovation Management is all about building new business capabilities or upgrading existing ones using scarce technology, and in the process, converting this scarcity in a utility component available only organization wide. Businesses capable of managing innovation in an agile way will be able to embrace change at lower costs and profit from windows of opportunity while their competitors fall behind. 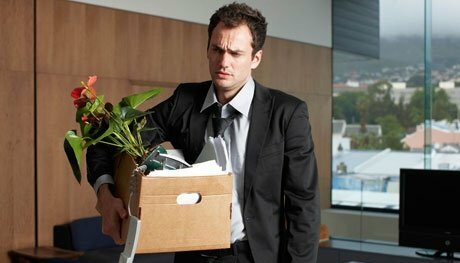 I originally published this article on linkedin: Fire the CIO!